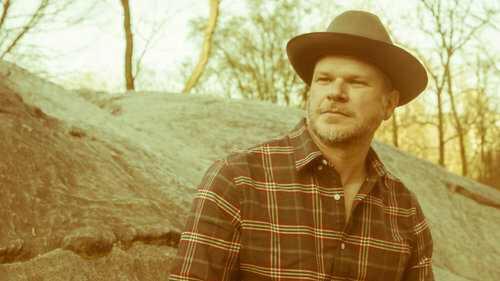 Since the 2005 release of his debut album, Mississippi-bred singer/guitarist Jason Eady has brought a rare balance of unguarded honesty and poetic sophistication to his songwriting. With his catalog spanning from blues-infused Americana to bare-bones reimagining of classic country, Eady's seventh full-length takes on a looser, livelier, more groove-driven sound than ever before. But while I Travel On brims with a feel-good spontaneity, the Fort Worth-based artist continues to instill each song with the subtle insight and emotional depth that makes his music so powerful. The follow-up to his 2017 self-titled effort, I Travel On marks the first time that Eady's recorded an album with his road band-a lineup whose rhythm section is made up of musicians from an R&B/roots background, and whose lead players hail from the bluegrass world. With Grammy Award-nominated duo Rob Ickes and Trey Hensley joining them in the studio, I Travel On wholly captures the unbridled energy and kinetic camaraderie that the band's recently displayed in their relentless touring and in sharing stages with the likes of Sturgill Simpson. "One of the best things about making this album is that it was all done live-just six guys with acoustic instruments sitting in a room together, playing these songs we'd been working out for a while on the road," says Eady. "It was a much different and more organic process than hiring studio musicians and then making an album right after you've met each other." In another departure from his previous work (including 2014's critically lauded Daylight & Dark and 2012's AM Country Heaven, a top 40 debut on Billboard's Top Country Albums chart), Eady wrote most of I Travel On in a month-long burst of creativity. "Normally I take my pick of the songs I've come up with since the last album, but this time I was writing specifically for this record," he says. "And because the album's so groove-centered, I focused on the way words rolled off the tongue and how they moved with the music. If something felt good to sing, I just let it be instead of going back and editing myself like I might've done in the past." Co-produced with Eady's longtime collaborator Kevin Welch and recorded at the Blueroom Studios in Nashville, I Travel On instantly proves the power of that approach with "I Lost My Mind in Carolina": a joyfully stomping album-opener that recounts the band's on-the-road hellraising in the city of Charleston. On lead single "Calaveras County," Eady details their wanderings in California Gold Country, paying homage to its Wild West ruggedness as the song unfolds in tumbling guitar lines and big-hearted harmonies featuring Eady's wife, Courtney Patton. Although much of the album speaks to "enjoying the journey you're on rather than wishing you were somewhere else," I Travel On explores everything from the indiscriminate destruction of natural disasters (on "Below the Waterline," a gently devastating bluegrass waltz co-written with Patton) to the foolishness in "playing life so safe you forget to actually live" (on the gloriously gritty "Pretty When I Die," co-written with singer/songwriter Justin Wells). And on the hypnotic and haunting "Always a Woman," Eady begins by offering a darkly charged reflection on love and regret, then shifts into a mood that's far more hopeful but equally intense. such artists as Merle Haggard and Guy Clark. Growing up in Jackson, he got his start gigging in bars at age 14, then moved to Fort Worth and began playing open mic nights after spending six years in the Air Force. As he gained a devoted following, Eady self-released From Underneath the Old in 2005 and steadily expanded his touring radius. Later, with the release of Jason Eady, he earned acclaim from outlets like Rolling Stone, who hailed the album as "[h]eavily steeped in his storyteller lyrical style and cleverly framed by uncluttered, acoustic-rich arrangements." From song to song, I Travel On reveals an artist hitting a new stride by fully embracing his instincts. "Over the last couple of albums I've relaxed into trusting myself and doing what feels right," he says. "I haven't added anything to the process-I just keep peeling more and more away, so that all that matters is whatever song I need to write right now." And in closing out with the album's lilting but determined title track, Eady purposely chose an open ending for I Travel On. "I like how nothing gets wrapped up at the end of the record," he says. "It's my way of saying I'm going to keep on doing this-I'm okay with this path that I've chosen, and I'm just going to keep moving on."